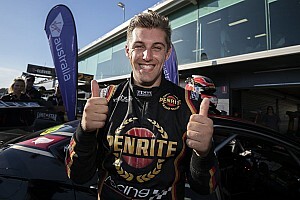 Chaz Mostert ended the opening Supercars practice session at Albert Park a whopping four-tenths clear of the field. Jamie Whincup, Fabian Coulthard and Scott McLaughlin all traded fastest times in the opening few minutes of the session, before reigning champion McLaughlin put some air between himself and the rest of the pack with a 1m56.654s six minutes in. The quick times book-ended the half-hour session, the next change at the top coming with two minutes to go thanks to Whincup's 1m56.082s. But the hammer blow came from Mostert with a minute to go, the Tickford Mustang driver going 0.4s clear thanks to a 1m55.574s. "The session was pretty tough for us, we had a lot of comms issues so couldn't really hear what [engineer] Adam [De Borre] was saying and couldn't relay what I needed back from the car," said Mostert. 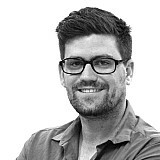 "Putting a green tyre on at the end, it really showed some pace from the car. But there's still a bit of tuning up to do. Qualifying car was pretty good, which is nice in Practice 1, but no doubt there will be a lot of quick guys coming for us in the next one." Anton De Pasquale ended up second, setting his 1m56.004s at almost the same time that Mostert went fastest. 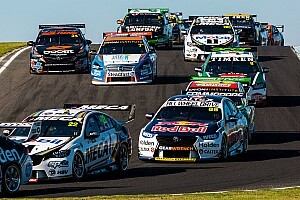 Whincup dropped back to third, followed by Mark Winterbottom and Lee Holdsworth. 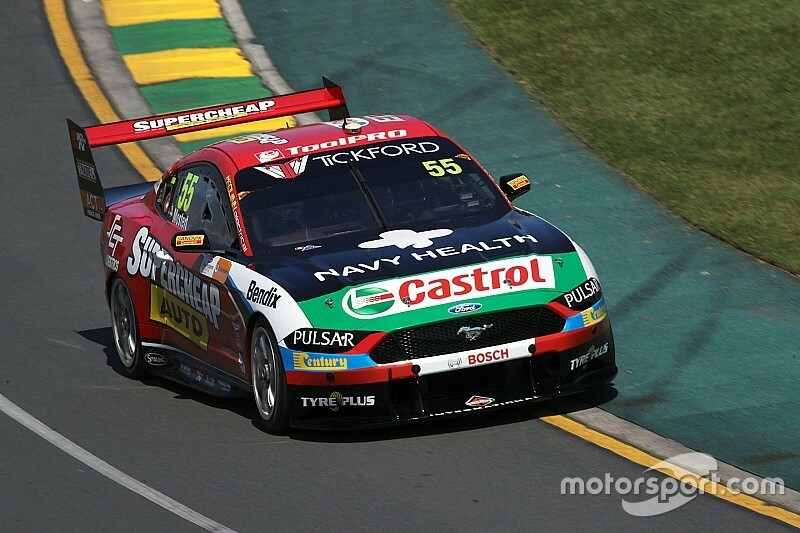 Walkinshaw pair James Courtney and Scott Pye were sixth and seventh, as McLaughlin slipped back to eighth. Cam Waters was ninth, with Simona de Silvestro leading the way for Nissan in 10th. 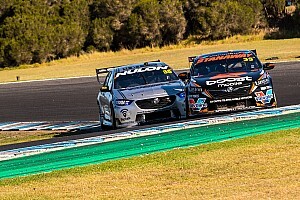 David Reynolds was just 16th after opting to not run green tyres, while Shane van Gisbergen was just 22nd quickest thanks to a vibrating front splitter. "It was a bit of a shame, we had a bad splitter vibration,” he said. “We pitted, tried about four times to fix it, there’s no point trying to push on and do more damage to the rest of the car. “We’ll spend some time now to get it fixed, but it was a shame to lose the session.